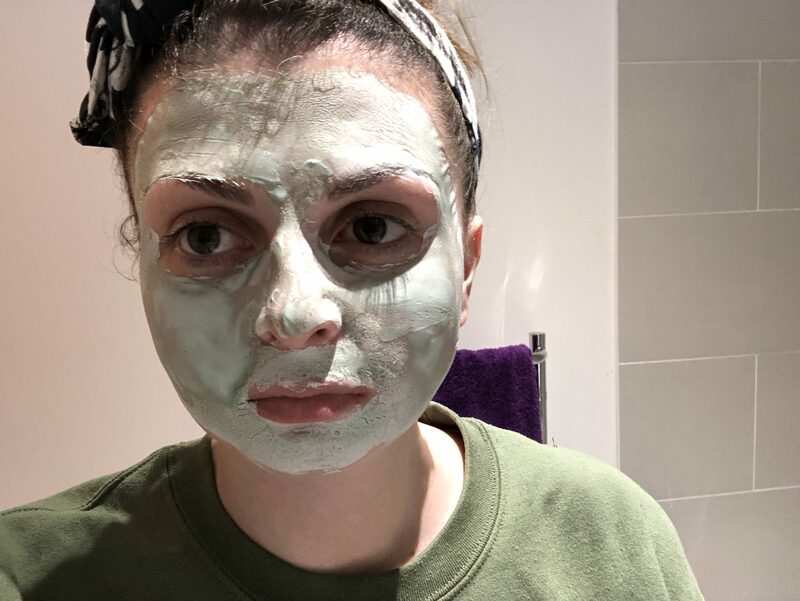 It’s face mask Friday! 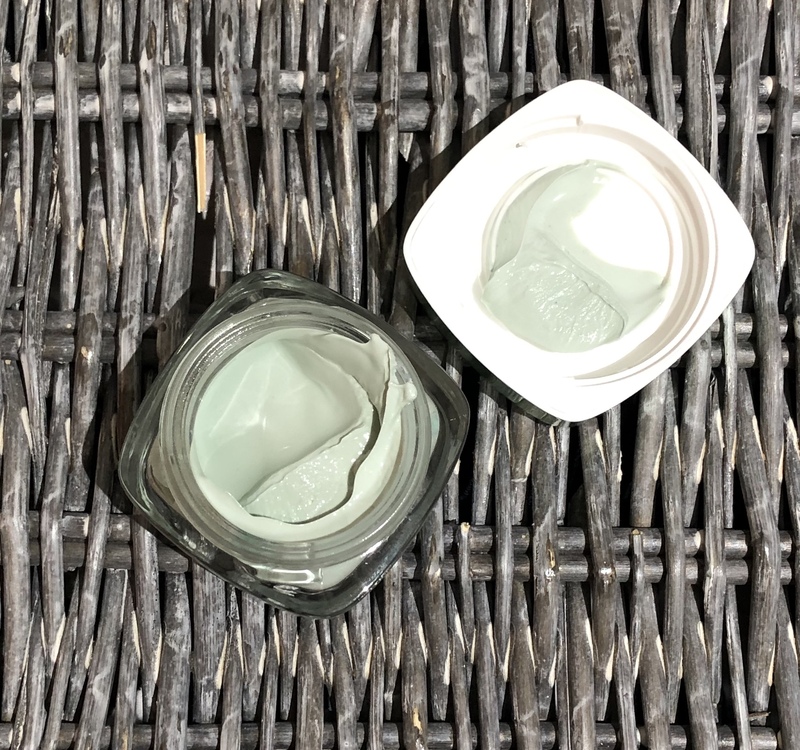 What mask have you used this week? 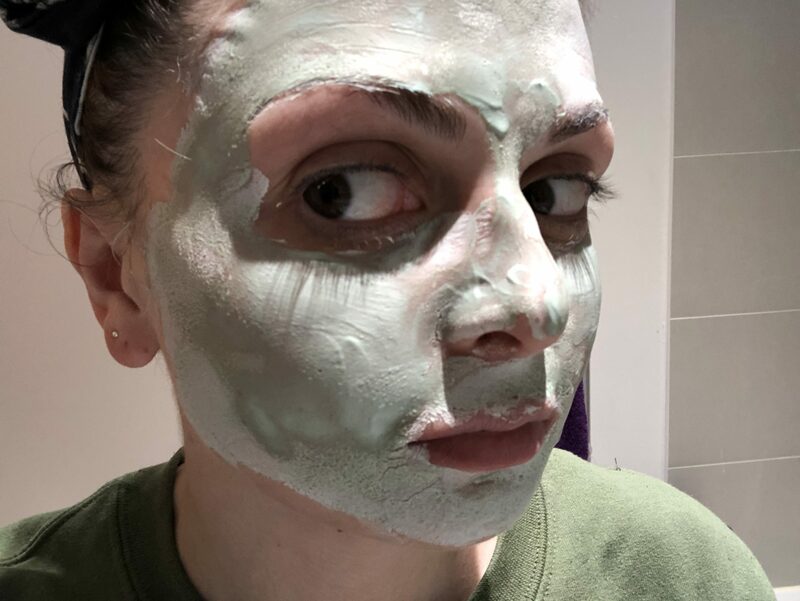 For me I prefer a mask you can apply and use more than once than a sheet mask. But I will give any ago. I would say my skin is average to a little dry really. You know when the weather can’t make its mind up and so your skin doesn’t really adjust correctly until it does make its mind up. 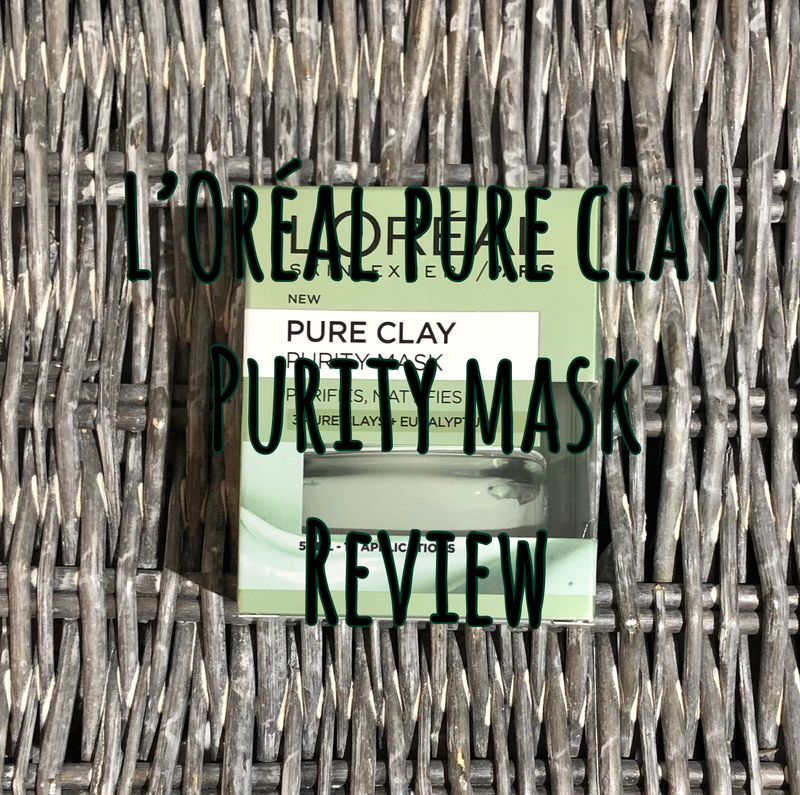 Anyway, I have tried out L’Oréal Pure Clay Purity Mask this week and a good clay mask has to be one of my favourites. It’s a fairly good size pot and suggests 2 – 3 times a week usage. Normally most you open and its half full and you’d think would last 3 masks maximum. But this I would say it’s a good value for money the pot is full to the maximum and I even covered just under half my face with what was on the lid. The packaging is a simple green. I don’t think its amazing packaging. I mean it doesn’t really catch your eye when you’re in the shop looking for a good mask. Especially when it’s on the bottom shelf. But the packaging does match the colour theme being green to match the actual mask. Like I said earlier, I am really pleased with the quantity I received. It’s worth the money for that. 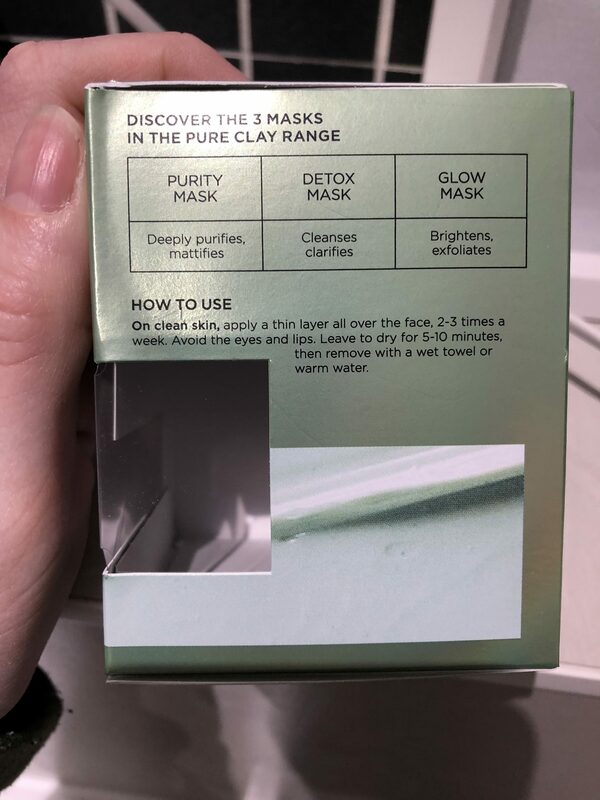 When applying this you didn’t need that much to cover your face. A pea size portion covered half a cheek. I guess the more you put on the harder it has to work to soak in and work on your skin. It was easy to apply though and washed off my fingers once applied very easily. It was thick in consistency but very easy to spread. 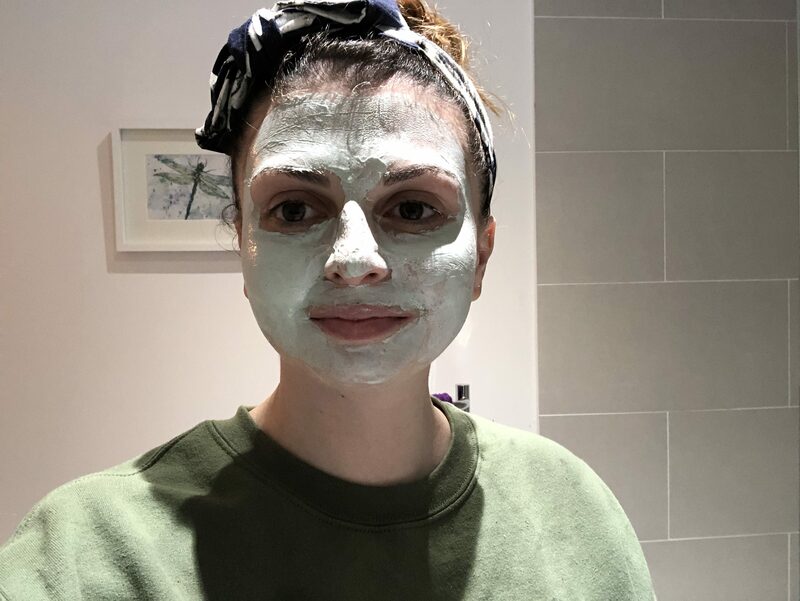 When I had covered my face, as per the instructions I went off for 10 minutes to chill and watch youtube whilst the mask sunk into my skin and worked its magic. When the 10 minutes were up, or a little over I must admit, my face was dry and as the mask hardened it was hard to talk or smile for example. I went and washed this off with a flannel. You could see where my face needed more work, where the mask was dryer in places. It washed off easily I washed a bit then washed the flannel etc until my face was clean. I then washed my face with a wet flannel and dried with the towel. I just dabbed my face with the towel, so I didn’t ruin the work I had just done. My face and even today the day after I can feel that my face is smooth and, in the places, that my face is normally dry like my forehead as such. It’s not at all and its soft to touch and not a dry patch in site. I would say though the edge of my face feels a little sticky. I mean the mask is completely off, it’s not like I am getting stuck to my face when I touch it, but it feels a little tacky. I hope this will lessen after a wash tonight. Maybe sticky is the incorrect word. It’s just feeling so much better than it does normally. I would definitely recommend this mask to anyone. It’s one that works in half the time of most and I can really see and feel a difference. I love how it hardens and makes your face tight, and old looking but with this mask old and green. LOL. I wouldn’t say this is overly powerful in scent which is a bonus I don’t think I even spelt anything. For the price as well, I would say this would last you a good 3 or 4 months based on using 3 times a week. 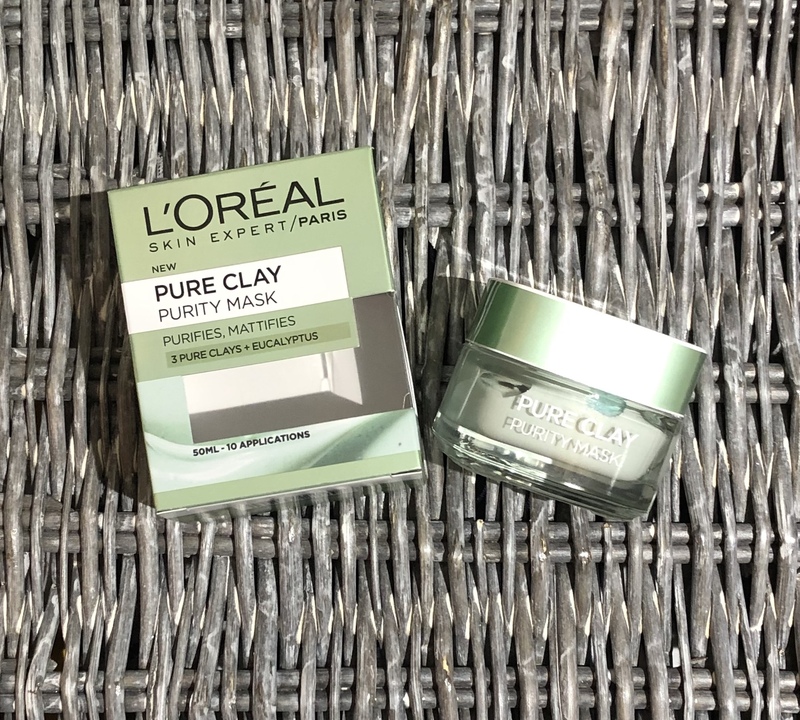 Have you tried a L’oreal mask before? If so which one and would you recommend it? 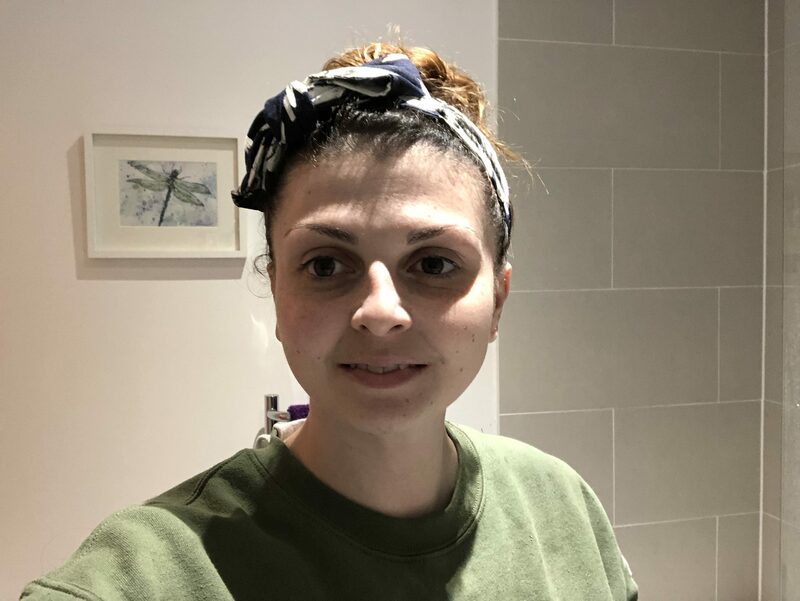 Or are there any others you’d think I would like, or you would like me to review?